Belonging to the popular Deol family, Abhay has emerged out to be a very popular and fine actor. Abhay Deol movies are very entertaining, be it of any genre. Unlike many other actors, he has done all kinds of genres and has been very much liked by the people. Below is Abhay Deol movies list, consisting of all the movies in his career. Abhay Deol started out his journey in Socha Na Tha, 2005, opposite Ayesha Takia. And ever since the debut, Abhay Deol Movies have been a blast for his career. Socha Na Tha was not a huge hit at the box office, but his performance received lots of positive reviews from the people and critics alike. Abhay is a part of the popular Deol family. He is the cousin brother of Bobby and Sunny Deol. And hence, acting definitely runs in his blood. His movies have won him several awards at the national and international platform. 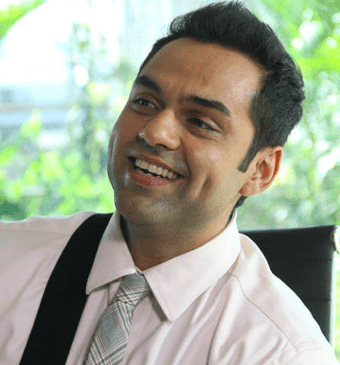 Some of the popular Abhay Deol Movies are Dev D, Zindagi Na Milegi Dobara, Ranjhana, and many more. He even took special training of deep-sea diving for his blockbuster Zindagi Na Milegi Dobara. His acting skills have been widely lauded by everybody. He is not just a great actor, but a brilliant singer as well. Most of the people have already noticed his singing. But if not, he has sung the song Senorita from the movie Zindagi Na Milegi Dobara, along with Hrithik and Farhan. BOTY has created Abhay Deol Movies List, consisting of all his hits and flops till date. Check out the list and definitely watch one of his fantastic movies over this coming weekend.